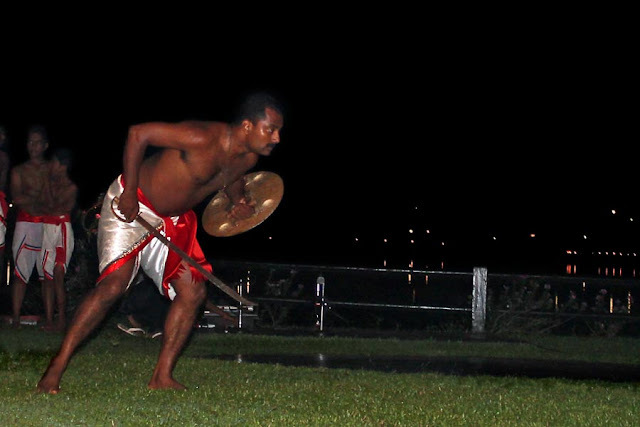 The Kerala style of martial arts is called Kalaripayattu and it is an ancient fighting system art. It is practiced in Kerala and some parts of Tamil Nadu and Karnataka and also parts of Sri Lanka. Here are some photos from one of their shows. 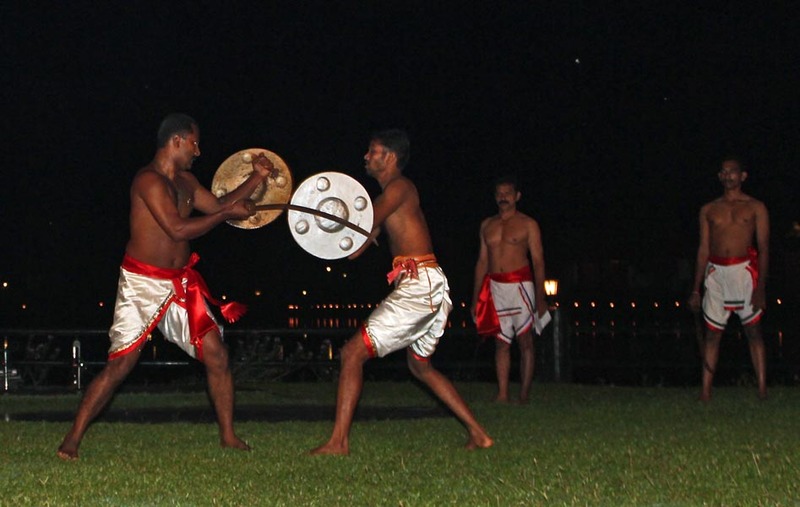 Two men in silk and red bordered lungis using shields and swords. 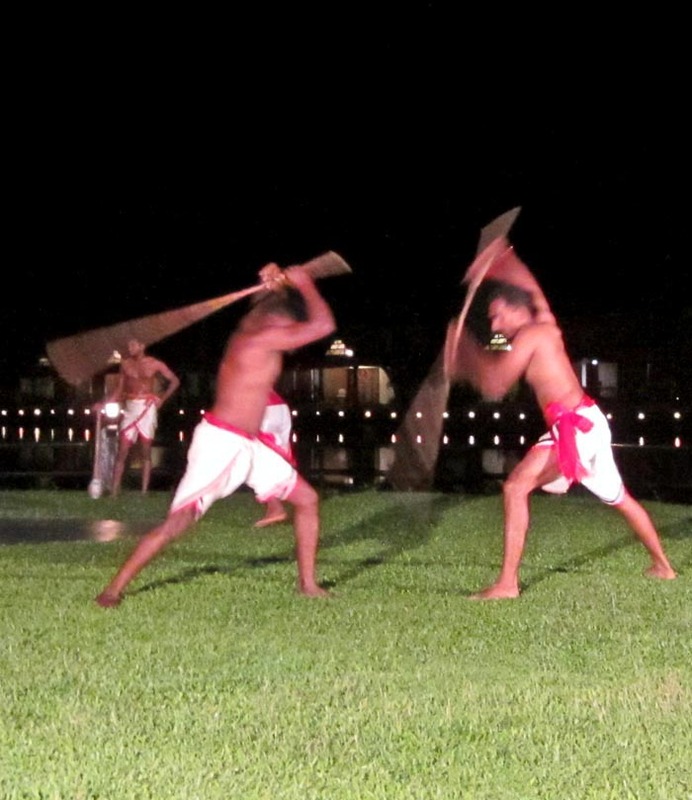 A graceful pose of two men practicing martial arts. They are ready to attack. Fighting ferociously to defend themselves! They are using poles or sticks. A man in a sword ready to pounce on his opponent. He is certainly battle ready!